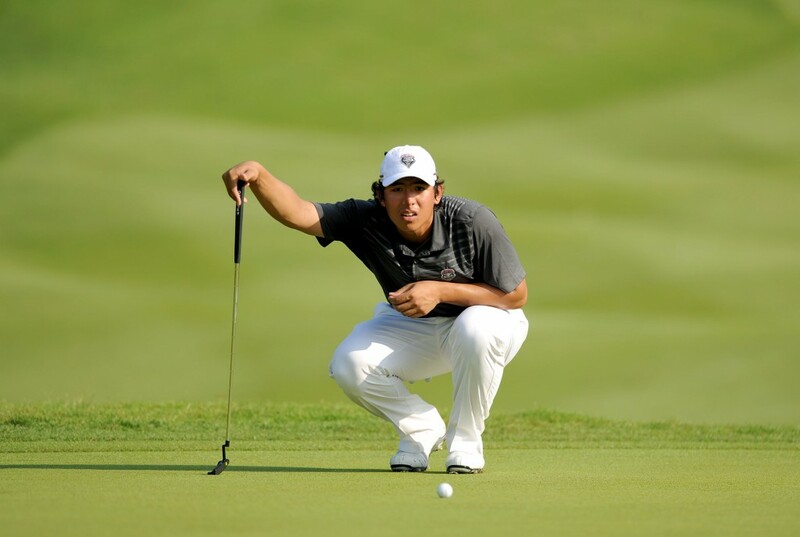 Gavin Green seized the third round lead at the Professional golf of Malaysia (PGM) Tour’s RM200,000 Northport Glenmarie Championship today. The 22-year-old Malaysian moved one shot clear of Chikkarangappa S. of India, whom he shared the overnight lead with at Glenmarie Golf & Country Club in Shah Ala, Selangor. Green signed for a round of six-under 66 that had nine birdies mixed with three bogeys. It left him on 14-under 202 with just one more day to play. Meanwhile, Chikkarangappa’s 67 today saw him slip to second place. It featured an eagle-three at the par-5 11th hole, five birdies and two bogeys. Indonesian Danny Masrin made his move with a 66 of his own. That effort had him climb into a share for third spot with Pavit Tangkamolprasert of Thailand, who shot a four-under 68. They were tied on 10-under 206. Iylia Jamil kept his outside chance of a title shot alive with a laboured 71. The Malaysian was seven-under and tied with Japan’s Shunya Takeyasu (68) on 209. Green said he remained pleased with the state of his game despite a few “mistakes” today. “The wind got up a little on the back nine and that made it a little more difficult,” he said. “But overall I’m happy with how I’m playing here – some solid golf and I’ll be aiming to do the same tomorrow (in the last round). “Today I made a few mistakes and managed to recover on some, and some I didn’t manage. But I’ll just carry on doing the same thing,” added Green, who has won two PGM Tour events, one as an amateur and the Danau Closed Championship after he turned pro in the second half of last year.